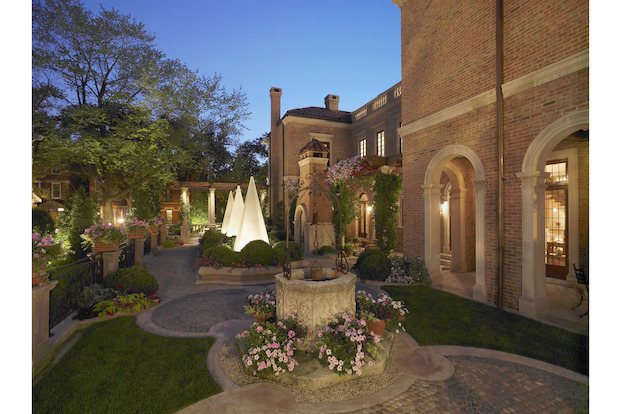 LINCOLN PARK — One of Chicago's most expensive homes has sold. A 14,000-square-foot mansion, 1955 N. Burling St., sold Tuesday for more than $13.3 million, according to Crain's, which first reported the news. That makes it the second-highest price paid for a Chicago home this year, Crain's reports. An associate of filmmaker George Lucas paid the highest price for a Chicago home this year, spending $18.75 million on a Park Tower condo. The asking price for the seven-bedroom Burling Street mansion, which covers five city lots, was $16.9 million. Some of the home's amenities include a six-car garage, indoor swimming pool and spa and a home theater. It also has a garden area south of the main residence that takes it design cues from the Dumbarton Oaks estate in Washington D.C., a listing agent previously told DNAinfo Chicago.